racing paper with a fine smooth surface texture. * Superior translucency 70% transparent. 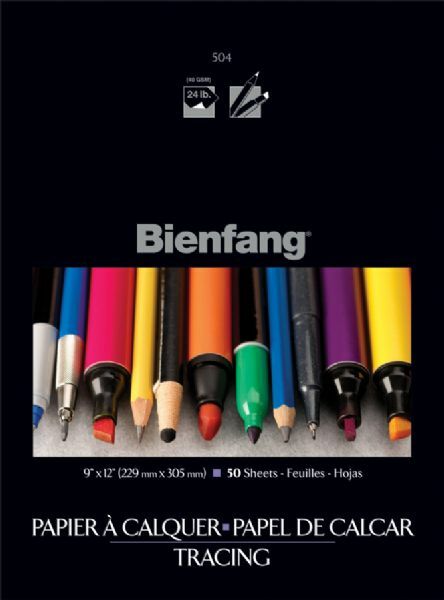 * Excellent with pencil very good with pen and ink markers or pastels. * 24 lb. (40 gsm). * 9" x 12" size in a 50-sheet pad.